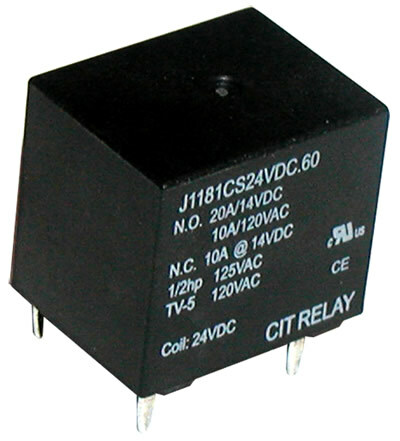 The J118 Series PC relay is small in size. Relay component contact arrangement options are 1A, 1B, or 1C with coil voltage from 9VDC up to 24VDC and coil power options of .60W or .80W. Dimensions are 15.5 x 12.2 x 13.8mm. UL Agency approval is E197852.